With personalised services to their clients and a philosophy of consistency and innovation, Megapak offers comprehensive packaging solutions for a wide market, and with the addition of their new blow-moulder for their Swaziland operation, Megapak is set to continue to be a preferred supplier. Manufactured by Sika Blow-Moulding in Taiwan, the new Megapak blow-moulder was shipped to South Africa, on route to the Megapak operation in Swaziland. The unique design of the machine ensures high speed cooling to increase output and maintain quality. 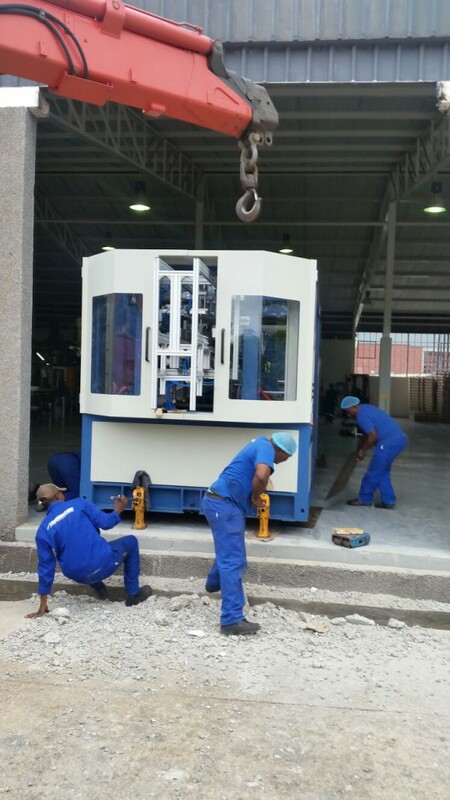 The machine will be used to manufacture 20 and 25 litre jerry cans. 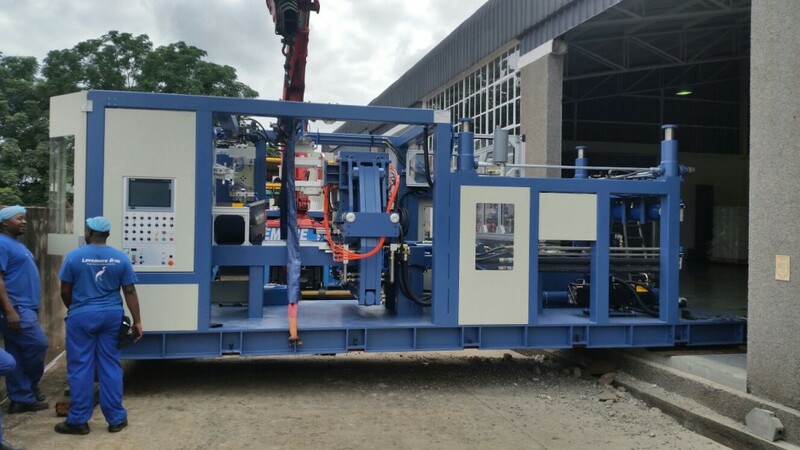 The machine was transported with 2 crane trucks and offloaded at the factory, where it was then put onto crawlers, moved into factory and rigged position by the Lovemore Bros team. “On behalf of the Megapak team I like to say thank you for a job well done. A special thank you to Petros Ngcamu from Johannesburg Rigging that headed up the operation and who did an exemplary job. He needs to be commended for his commitment,” says Morgan.